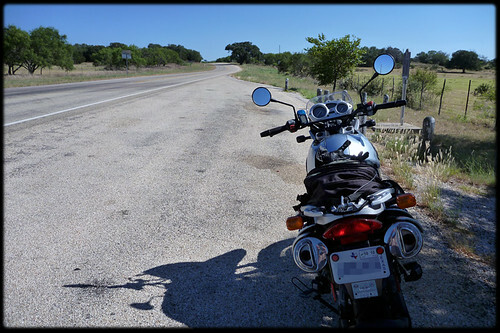 I went for another longish ride this past weekend, down to Blanco and Luckenbach before hitting Fredericksburg and then back home again. There were a couple exciting parts of the ride, or I should say frightening parts of the ride. First, I didn’t have my sleeves tightened around my wrist, and some bug flew up my left sleeve while I was going about 60mph. I quickly tried to squash whatever it was by banging my forearm against the left grip. 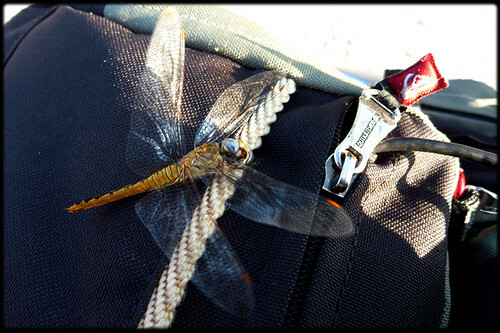 When I stopped, I shook out the sleeve and out dropped a good-sized dragonfly. Make sure to fasten those sleeves tight, especially in the morning! Next, there’s a really sharp curve just west of Hamilton pool. What makes it challenging is that it is at the bottom of a steep little hill. So the downhill braking, then a sharp left made for a pucker moment. 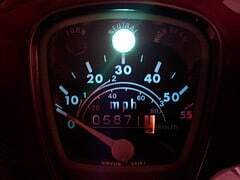 After that, it was just a really relaxing ride through the Texas Hill Country towards Blanco, then northwest to the tiny community of Luckenbach. 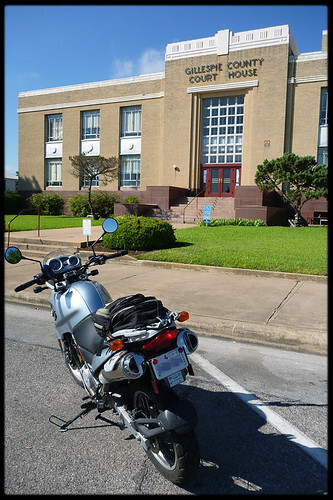 I stopped to take photos of my bike in front of a few courthouses along the way. It seems like it’s kind of a tradition over at the TWTEX.com site. 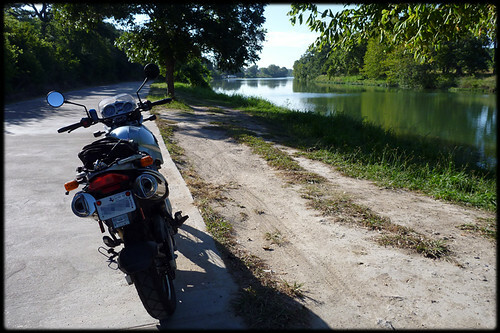 Anyways, it was a really nice ride even though temperatures were climbing near 100 at noon. 230 miles in total.